Yesterday a court in Texas in a case in which Nebraska was a plaintiff issued a preliminary injunction against the FMLA change in Nebraska. 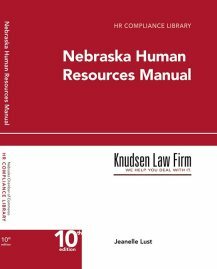 For now Nebraska employers do not have to comply with the change in the FMLA. However this is likely to be a short lived reprieve while the issue works itself out in the federal courts.